A Mens Dawn of Justice Batman Costume including a Jumpsuit, Cape, and Mask – Ideal for a TV & Film theme, a Superhero theme, or any fancy dress occasion! Transform yourself into the Dark Knight’s latest look with this Mens Dawn of Justice Batman Costume. 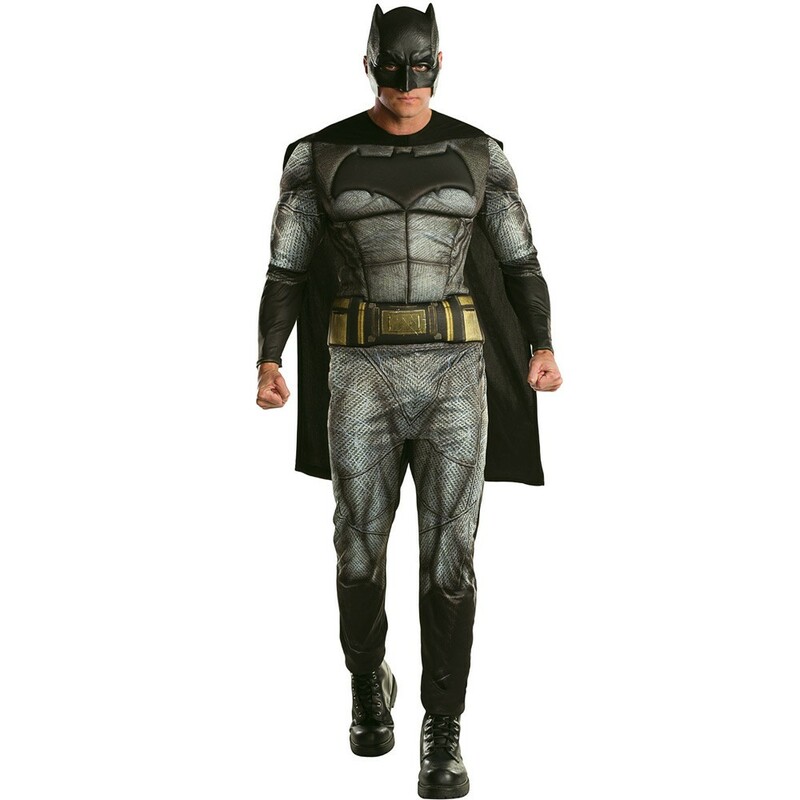 This official licensed Mens Dawn of Justice Batman Costume includes a Jumpsuit, Cape, and Mask. This outstanding black and grey printed Jumpsuit features a yellow belt detail, black sleeve cuffs, a printed muscle chest detail, and a large padded black Bat logo across the chest to complete this heroic look. This brilliant Mens Dawn of Justice Batman Costume also includes a black Cape, and black Plastic Mask with a bat shape design to complete this outstanding look! Perfect for a Superhero theme, a TV & Film theme, a Comic Book theme, or any fancy dress occasion, this Mens Dawn of Justice Batman Costume will be sure to stand out from the crowds! So protect the human race with this fantastic Mens Dawn of Justice Batman Costume! A Mens Dawn of Justice Batman Costume.